Helical Communications Technology (HCT) launched their custom-built Quadrifilar Helical Antenna as part of Hiber’s constellation satellites in December of 2018. A second launch with the same technology launched from Vandenberg Air Force Station that same month. This milestone elevates HCT to the status of “Flight Heritage Status,” which indicates a company’s first successful satellite launch deployed into space — few private companies have reached this milestone. Founded in 2013 by Salvatore Bologna and Gregory O’Neill, HCT began researching and designing a unique, omni-directional antenna for cubesats that capture a much larger footprint of geography and topography on the Earth. 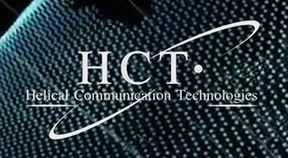 Within four years HCT had developed a design that can be scaled depending on the customer’s requirements to have a wide range of circularly polarized antenna patterns. Infographic is courtesy of Hiber. Hiber, based in Amsterdam, contracted with HCT to send their smallsats on this mission with the objective to offer internet connectivity to millions worldwide who lack accessibility to the internet. The company estimates launching dozens of their smaller satellites within the next year to keep up with demand. HCT also plans to multi-use this antenna to communicate with shipping containers from port of origin to final destination. HCT designed the custom-built “quadrifilar” helical antennas at their Rockledge-based operations and shipped them to the Netherlands where Hiber’s headquarters are located. Hiber, in turn, added other cubesats and shipped to their launch destinations. In remote regions worldwide, subscribers purchase a low-cost modem which allows them to connect to Hiber’s constellations placed in LEO. The goal is to have a constellation of satellites providing internet from space instead of relying on underwater or above ground cable. In 2017 HCT was selected for the NASA Technology Docking Program, a unique arrangement from the agreement between the Economic Development Commission of Florida’s Space Coast (EDC) and NASA that awards select companies the opportunity to work with a NASA subject matter expert to review any technology hurdle they may be encountering. Typically only five companies are selected each year. The EDC is the only EDO in the country that offers this service to their local companies. Bologna stated that this flight heritage milestone opens the firm's doors for more companies wishing to launch satellites into LEO. 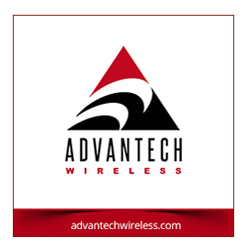 The opportunity to offer daily internet access via modems located in remote regions of the world transmitted to Earth-bound, existing satellite stations is remarkable.